Sorry!... The issue was not the XE303C12. It was me trying to use prior knowledge. Many thanks to +Andrew Robinson (Canberra/Goulburn diocese) for his help. All our Chromebooks were trialed prior to enrollment so unless they were brought back to factory default, they wouldn't enroll. I thought you could Powerwash (under advanced settings) to bring a Chromebook back to original state. It turns out you cant. Each Samsung Chromebook needs to be flushed according to their specific instructions. What this means for us is that these devices can be rolled out by the teacher and a class straight out of the box... See this discussion. I have left the original blog entry below in case others are wondering why their machines are not enrolling. 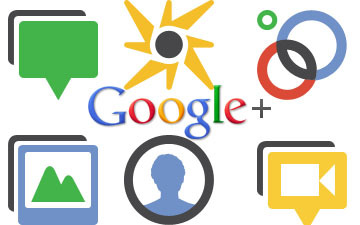 Google+ & Hangouts are now enabled on all school domains for STAFF only. ...collaborate with up-to 10 people on a video chat. You instigate it. You arrange it. You do the invitations. ...record the conversation as a live stream on You Tube and allow others to participate in real time or after the event. ...set-up on-line, real-time, live lessons. You can share documents or interact on a virtual whiteboard with your live participants. ...divide up up your "friends" into different groups and share to a specific group. ...tag your responses with anything you like. If others start to use the same tags, you can find each other's contributions easily by searching via the tag. 2. Our general set-up doco. There can be value in helping users understand that there is Google Drive on the Browser and Google Drive on the Desktop. Do not get students to set-up Desktop Google drive on a shared device BUT it's a must for all teachers and any student in a 1:1 or BYOD scenario. To set it up, open Google Drive in your browser and click on "Download drive for PC". Install it. Then find it (in Start, Programs, Google, Google Drive). Make sure you have "sync files" turned on. If you want people to co-author a Microsoft document and you want to leave it as a Microsoft document, you have to be using Desktop Google Drive. But when you share a file to others, they wont see it in Desktop Google drive unless they find it in their Browser Google Drive and drag the file into "My Drive". Edits are saved back to Drive without conversion or any formatting loss. (It's like working from a USB). This works like a Word document shared across a network drive. The last edit will over-ride previous edits and the document is locked to only one editor. So if you want multiple editors working simultaneously, you can't use a Word document. You should set your file up as a Google doc from the getgo or as Heather indicates, convert it and deal with any formatting loss. Assignment URL. Clearly this only works if the assignment is being presented as a Google doc or other web based resource. Make sure the assignment is permissioned to you ( the teacher ) as editor and you may or may not want the class viewing anyone elses. As you can see from the image, insert the form on the left of your site page and the underlying data sheet beside the form. That means as students submit, you get to see their names and you get to test that you have access to their file. Great questions... So here are the reasons why you might want to change to this method. You can see the assignment as it unfolds. You know exactly where the file is. You just come back to this page and click the link on the right. You don't care how the student saved it to their Google drive or where they saved it.You have the link and it never changes even if the student moves it to a different folder. You know from the onset that you have permission to read and edit (rather than chasing students around after submission) and if you don't have access, you get the student to change permissions throughout the course of the assignment. You can leave comments at any time OR co-author the document. You have access to the full revision history. And when it comes to the due date, the student makes you the owner and themselves a viewer.